Today, two of my three classes are taking CDT tests. The geometry kids will take them tomorrow. I wrote last year about how this is the only version of a standardized test of which I approve. It provides dynamic questioning and immediate feedback for both students and teacher, not about individual questions, but about topics that require strengthening versus topics of strength. In addition to that, we have Open House tonight from 6:30-8:30. Since I live almost an hour from the school, this means that I won't be going home. I will be staying through at school for 14 hours today and will be facing parents in clothing that has looked as though I was at school for 14 hours. "Good Evening! I'm Mr. Aion and I am your child's math teacher this year!" It turns out that this coordination of events works very well for me because of the schedule that I've been keeping. Last year, I was at school around 6:15, which meant I had to leave my house around 5:30. So my alarm went off at 5. I get to school this early because I use the time before the kids show up to make the copies I need, make sure my room is ready and that I'm in the proper frame of mind for homeroom and the day. This year, at the encouragement of @VeganMathBeagle, I've been doing T25 in the mornings. This means that my alarm has been going off at the unholy hour of 4:30. Those 30 minutes make a HUGE difference. Today, however, since my homeroom students were going to be testing, the only prep I had to do in the morning was to get the room ready. I was able to sleep in until 5! Knowing that I won't be home until close to 10 tonight made those 30 minutes oh so sweet. As my students completed their tests, they went onto the game site that isn't blocked by our firewall, Cool Math. This is a game where the characters (surprisingly) run. They move through levels of ever increasing difficulty. Why is this different from (and significantly superior to) Temple Run? As the level progress, the characters have to start moving in 3 dimensions. They have to jump over, under and around the environment as it progresses towards them. Then it gets even better! 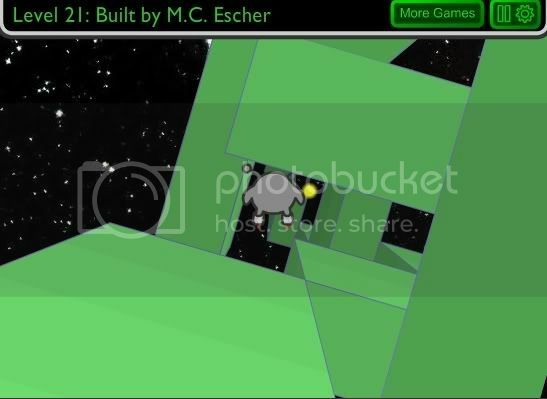 A few levels in, the player is given the ability to rotate the environment around the character! Players are forced to make instant decision of rotation to ensure that a surface will be under the character when they land! Students don't have any idea how much mental effort it takes to rotate objects in their minds before they do so in reality! 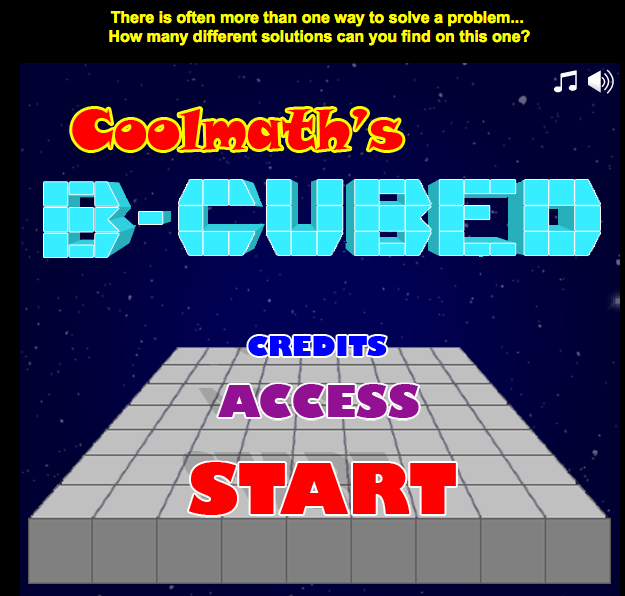 In my opinion, this is a solid math game to help develop spacial reasoning. 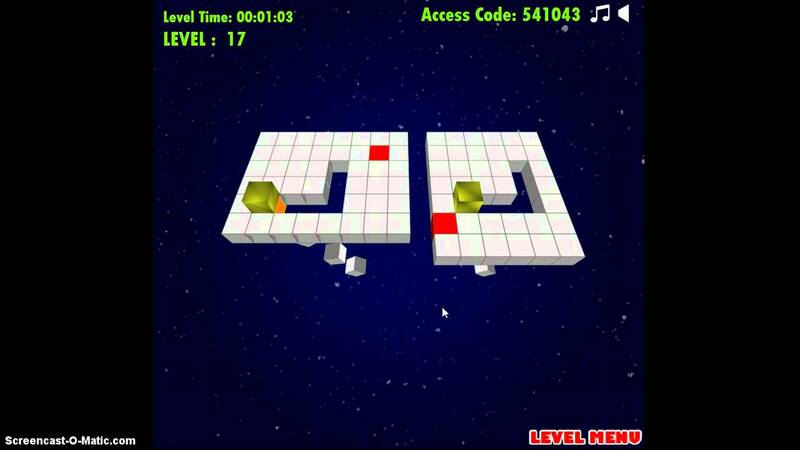 This is a strategic puzzle game where the player moves a cube around a floating platform. As they move off of a space, that space falls away from the board pretending the player from moving backward. The goal is to remove all of the spaces and make it to the exit as quickly as possible. 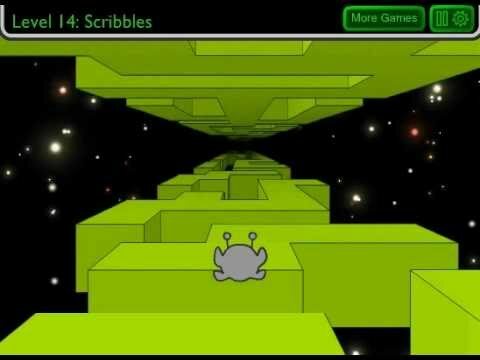 As the player progresses through the levels, new obstacles are added, including blocks that create or destroy bridges, or blocks that have to be hit several times before they fall away. This is very similar to another game that my students like called Bloxorz where a player has to move a 1x1x2 column around a platform to get it to slide into a 1x1 slot. 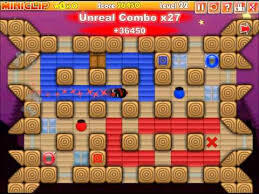 In this version, players are not timed, but the number of moves taken is counted. Both of these games do a great job of helping students to think about planning both ahead and backwards, knowing where they need to end up and how to get there in the most efficient fashion. Players take on the role of a ninja in charge of painting a dojo. This ninja, however, can only move in straight lines until he/she hits an obstacle. There are colored pots around the board and specific colors that have to be placed in certain spots. The player must run over the proper color before the space will accept it. This game, along with B-Cubed, does a great job with helping students to view unintended consequences. "Oh man! I needed that spot there!" or "Oops! The ninja ran too far." I think we spend a ton of time as teachers forgetting that play is a form a learning. Free play has value, as does directed play. To underscore this point, our music teacher, who I consider one of the best teachers in the district, uses Guitar Hero as one the stations in his classroom. When people (adults) give him complain that he's just having the students play a stupid video game, his response is to invite them to sit and play the drums. A greater teacher than myself could probably come up with a way to get students to some metacognition while they play. I would love to have some sort of assignment where they could play some of these games and then do a write-up about the math involved and their strategies. I'm just not sure how to do it without A) ruining the game for the them, or B) having the assignment be "Do a write-up of the math involved in this game the strategies that you used!" I think a fantastic test of SMP1 would be "What is the highest level you can reach on Bloxorz?" Perhaps the assignment for this game play would be to have students record which game they are playing and what levels they have beaten. What I found interesting was that the students who chose puzzle games like the ones described above seemed to do better on the test today than those who chose games that required no thought, but merely reflex. I know that correlation doesn't imply causality, but I found it interesting.